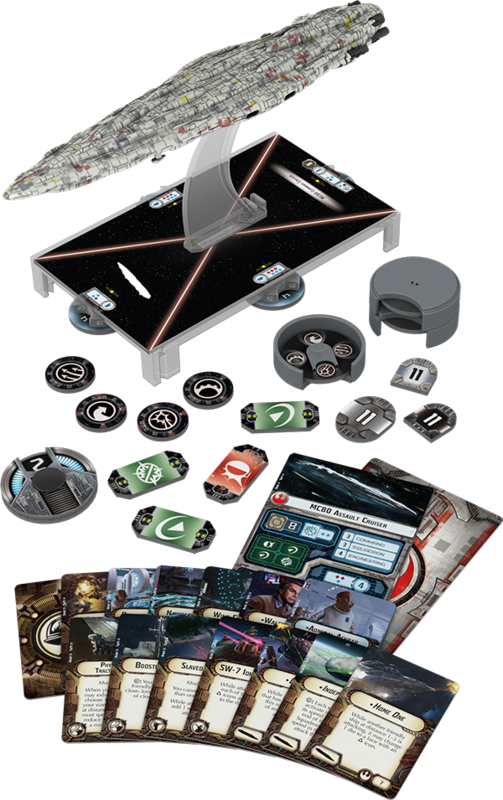 Fantasy Flight Games is about to launch the Millenium Falcon and Imperial Star Destroyers into your Star Wars: Armada battles. Star Wars: Armada's Core Set is already very exciting, but it's still a tabletop miniatures game - which means its lifeblood will consist of equally impressive expansions. That's why Fantasy Flight Games is rolling out Armada's "Wave II" ships, and there's lots to look forward to. Not only will Wave II feature Han Solo's Millennium Falcon and Boba Fett's Slave I, players can finally break out the big guns - a massive Imperial Star Destroyer commanded by Darth Vader himself. 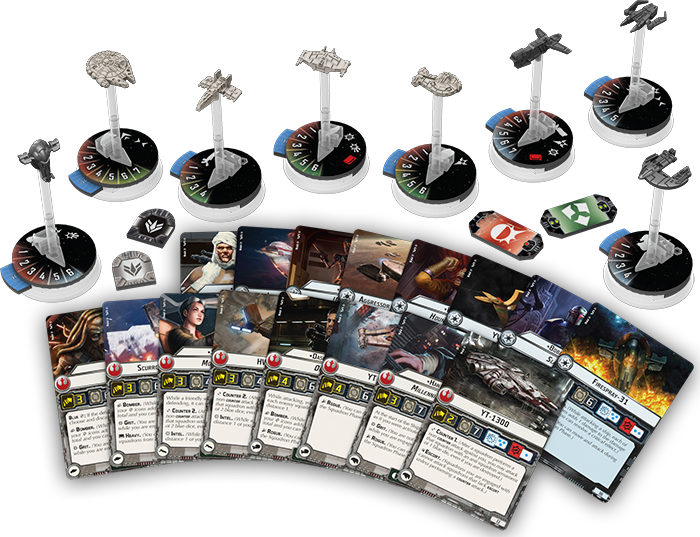 Armada's second wave covers five expansion packs bringing new capital ships and fighter craft to Star Wars battles. 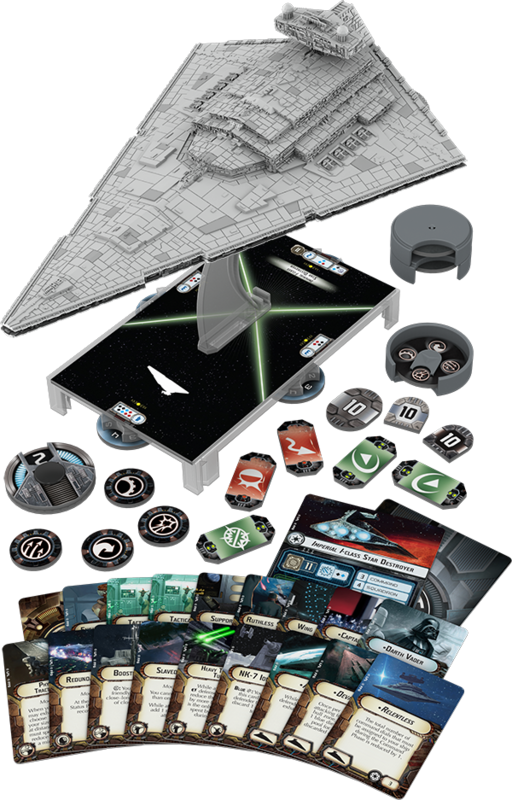 The most visually impressive is the Imperial Star Destroyer pack, which includes everything you need to play one of the most recognizable ships from the films. 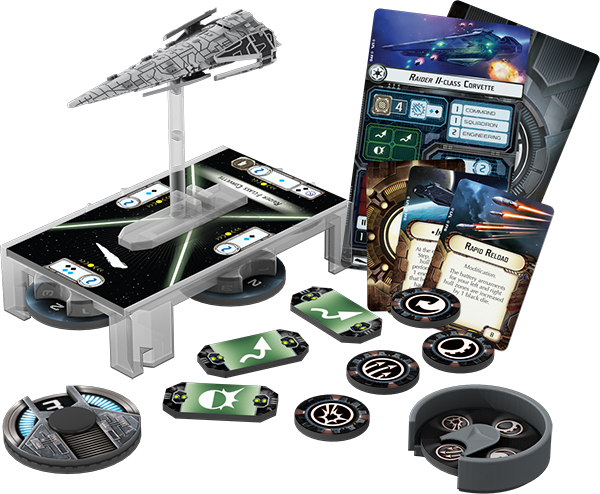 On top of its extensive armaments, Imperial class ships come with tractor beams, a Darth Vader command card, and "Contain" tokens that cancel strikes against the hull. While the Star Destroyer is the biggest ship from Wave II, the other vessels are no less important. Two Mon Calamari ships are included here - the MC30c Frigate and "Home One", Admiral Ackbar's flagship star cruiser. X-Wing players may also recognize the Imperial Raider, a corvette expressly designed to small fighter craft on their toes. 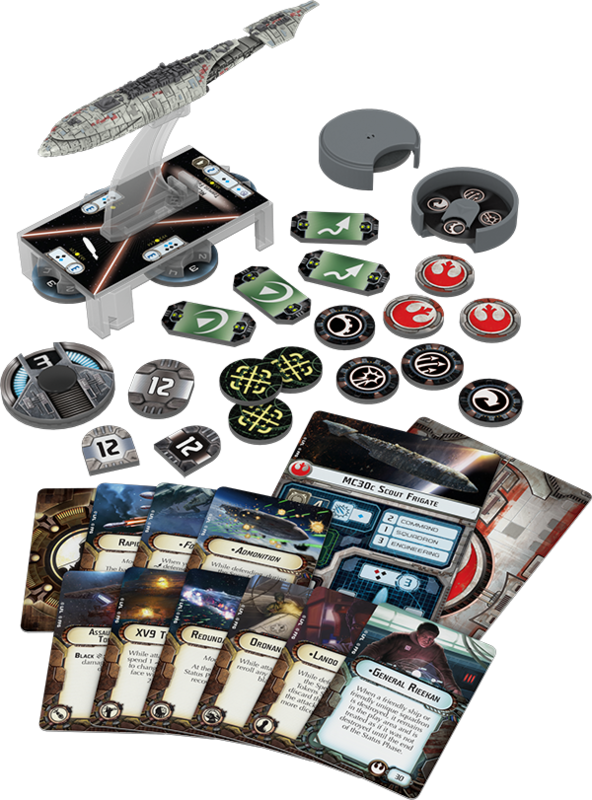 Finally, Fantasy Flight will offer a Rogues and Villains expansion, containing the most recognizable ships of Star Wars Among these freighters, patrol craft, and bombers you have the Millennium Falcon, Slave I - even Shadows of the Empire's Outrider. While these ships won't last long under fire from capital ships, they do have their own edges in combat - "Rogue" ships, for example, can move and attack during their squadron phases. Star Wars: Armada was already a game that brought large-scale combats to your tabletop, but if Wave II plays as advertised? Those battles are about to get far more exciting. Wave II's expansions are expected to launch in the third quarter of 2015.